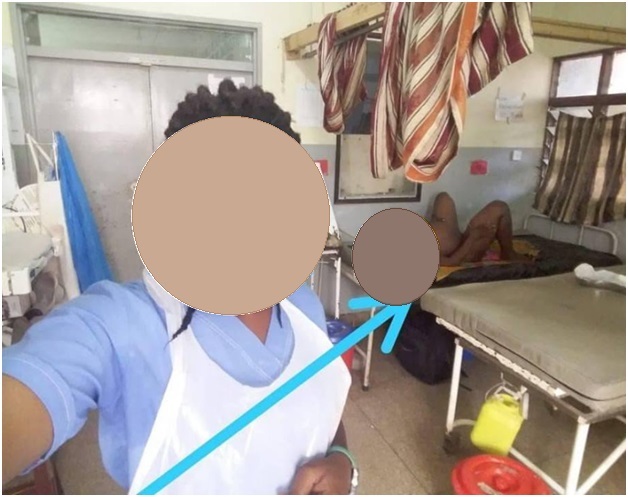 Tuesday, November 13, 2018 - This female nurse is on the receiving end from netizens after she shared a selfie from a hospital ward with a naked pregnant woman in the background. The slay queen nurse shared the photo on Facebook where she has been heavily criticized for violating the code of ethics in nursing. While the exact location where the photos was taken is unknown, the online community has called for the slay queen nurse to be sacked and deregistered as a nurse.